The weather is just starting to turn and It's making me think about spending copious amounts of time outdoors! I'm still on the "kid kick" after spending time with my friends babies so I incorporated a child friendly element into the design with a tepee. Let's be serious though, I'm pretty much looking for any excuse to have a tepee around. I'm a tiny bit obsessed with the striped version above. I paired it with two little stools that can be placed inside or around the tepee. 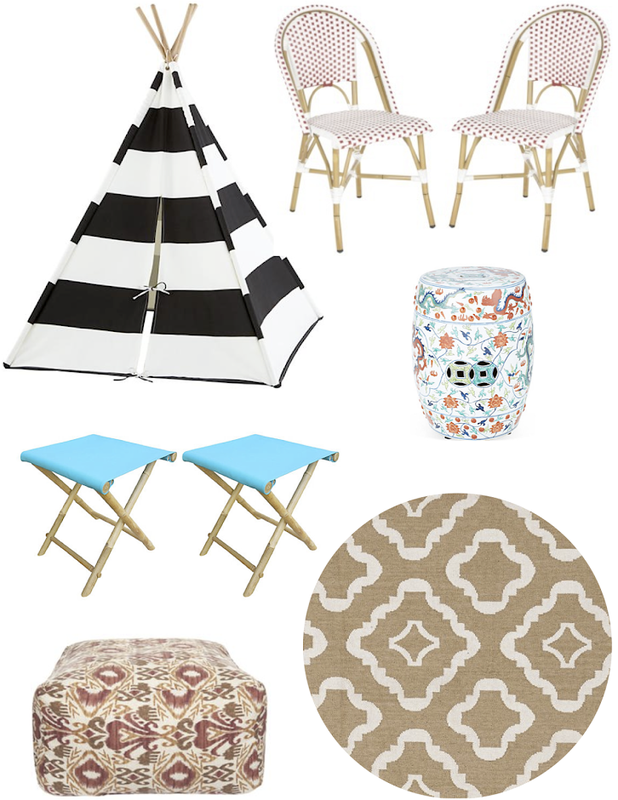 Rugs take outdoor spaces to the next level so I chose a neutral print that works with wicker side chairs, a colorful garden stool, and playful pouf.